Making sure your transmission is operating smoothly is an important part of vehicle maintenance, but it’s not as common a service as an oil change or tire repair, so transmission service often gets overlooked. The unique PDK available on new Porsche vehicles is a finely-crafted high-performance piece of machinery, so it’s important to know when it’s time for Porsche PDK transmission repair. You can count on the Porsche service center at Porsche Fremont for transmission repair near San Jose and Palo Alto. What is the Porsche Doppelkupplung (PDK) Transmission? There are manual transmissions with which the driver is responsible for shifting the gears and automatic transmissions with which the vehicle itself shifts gears. The Porsche Doppelkupplung, or PDK, is a transmission designed to shift between these two styles. Carrying on the Porsche tradition of manual transmissions in sports cars, the PDK transmission is designed to honor that legacy while improving on previous generations, giving drivers today an enhanced shift and optimal fuel efficiency. It’s the PDK transmission that gives Porsche vehicles their signature sporty ride and helps bring the sports car experience to more casual drivers. But being so unique, the PDK transmission requires an extra level of care, and problems with the transmission need to be addressed while they are still minor. The transmission repair shop at Porsche Fremont is staffed by certified technicians who can expertly repair your transmission to like-new condition. When is Porsche PDK Transmission Repair Needed? Our service department has the resources and trained technicians to quickly diagnose and repair your vehicle, so you can get back on the road. 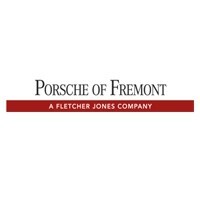 Learn More About the PDK at Porsche Fremont! Do you have questions about PDK transmissions or transmission repair cost? Contact Porsche Fremont, or visit us near Redwood City and Walnut Creek. We can help you keep your Porsche transmission healthy and happy! Don’t forget to ask about our current service specials.